Tax deadlines for 2018 are quickly approaching (some are due in just 14 days from publication of this post!) so here’s what you need to know to file your LLC or Corporation (or S-Corporation) taxes and some services that can make it easy for you to get done fast. Anyone who owns part of any US business must file a Federal tax return regardless if you are a US citizen or had any revenue. Even if you didn’t do any business you still must file an “all zero” tax return. See below for assistance. Non-US Citizens: 1-Member LLCs that are owned by a non-US citizen must file Form 5472 and a “pro forma” Form 1120 (Only indicating the name and address of the foreign-owned LLC, its employer identification number and the date of formation). In addition, non-US citizens are required to file Form 1040-NR (or Form 1040-NR-EZ). Non-US Citizens: Form 1040-NR (or Form 1040-NR-EZ). Non-US Citizens: In addition to Form 1120, C-Corporations that are owned 25% or more by non-US citizens must also file Form 5472. Finally, non-US citizens are required to file Form 1040-NR (or Form 1040-NR-EZ). * or the 15th day of the 3rd month after your fiscal year ends. The vast majority of S-Corporations and Partnerships have a fiscal year that ends on December 31 (you would have had to indicate a different year when obtaining your FEIN to specify anything else). TurboTax Business – Just like regular TurboTax for your personal 1040 tax return, this service will help you self-file Schedule C (simple), Form 1120 or 1120S for your business. Definitely simpler than doing yourself but requires a fairly good grasp of business taxes for the form 1120 and 1120S. We recommend this option for clients that are familiar with business taxes or have a new company and only a few transactions. Greenback Business Services – This service will have a professional accountant file Corporation or LLC taxes (and 1 state form, if applicable) and have lower-cost options based on your annual revenue starting under $500. Note that they can also file your personal tax returns as well. MyCompanyWorks customers receive an automatic discount of $75 when purchasing a return. 1-800-Accountant – They provide tax, accounting, bookkeeping and payroll service for those who prefer a “full-service” solution. 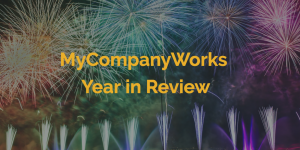 MyCompanyWorks Business Tax Guide – goes into more details about the taxes above, non-citizen taxation, state taxes, sales taxes, annual reports and basically everything you need to keep your company compliant. One of the most daunting aspects of doing business as an entrepreneur is coming to the realization that your business is failing and needing to decide whether to salvage or close it for good. Business owners must often review their operations to determine how sustainable the business is. When the business is no longer profitable due to a poor economic situation, strong competition or other factors, it is essential that a business owner knows how to close a business the right way. The dissolution of a business involves a step-by-step process. Knowing how to close a company will save you from any potential lawsuit, loss of business and personal reputations, and excessive charges. Whether it is an LLC or a corporation or a sole proprietorship, this checklist will guide you all the way through the dissolution of your business. Step 1: Think and decide. Before arriving at the decision to close your company, it is essential to assess the debt obligations and financial strengths of your business. Review your current situation. Is there any expenditure that you can eliminate to improve your company’s profitability? Check if there is anything you can do to negotiate the lease, reduce the payroll costs or perhaps lower overhead expenses by finding more cost-friendly vendors. By reducing expenditures, you will also have the opportunity to stay in business or even make your business more salable. Seek expert advice or do research on the internet. Before finalizing your decision to close your business, speak with an attorney, an accountant or other business advisor. Let your accountant review all financial aspects of your company and the possibility of preventing business failure. If closing your business is the last recourse, an attorney can guide you in complying with all legal requirements. Step 2: Review all documents. Whether you are a corporation, an LLC or a sole proprietor, you need to review all documents relevant to your business, including articles of organization, bylaws, and other agreements to determine your next step. LLCs likely require a member’s approval for dissolution according to the operating agreement. Typically, if the majority supports the decision to close the business, then everyone can push through with the process including settling all accounts, paying all employees and filing the necessary paperwork. It is crucial to know the state laws of the state in which your business is incorporated or registered. Corporations may also need the votes of its shareholders to dissolve the business. The business documents of a corporation will determine the procedures required for closure. Finally, once you are sure about closing your business, start contacting your creditors and notify them of your plan. This enables your creditors to compute all outstanding debts. Before selling your company’s assets, discuss your liquidation plans with your creditor and talk about how you want to settle your debts. Whether it is a limited liability company (LLC) or a corporation, company owners should approve the business dissolution. With a corporation, the shareholders should accept the decision. If you are wondering how to dissolve an LLC, it is important to have the approval of the members. For small businesses, members or shareholders typically take part in the daily operations and usually are aware of what takes place every day. The corporation’s bylaws and the operating agreement of LLC outline the needed approvals and the dissolution process. Complying with formalities means that the board of directors should create a draft and render approval of the resolution to dissolve. Following this, the shareholders vote on the resolution approved by the director. These actions are documented and kept in the company record book. Step 4 File dissolution documents. After the members or shareholders vote for the dissolution, documents should be filed with the state where the business was registered or incorporated. The dissolution of a company starts with the filing of Certificate of Dissolution, also referred to as the Articles of Dissolution, depending on the state. Some states require the filing of documents before letting the creditors know or before resolving claims. Other states require your company’s tax clearance before filing the Articles of Dissolution. In this case, the company or LLC has to pay the back taxes first. Step 5: Cancel licenses, permits, and registrations associated to the business and settle your employees’ wages. Is your business leasing a space? If so, then you will need to notify your landlord of the termination of your lease. Your landlord may require you to either pay the whole amount of the lease or he or she will find a replacement for your space. This is known as mitigating damages. You would be accountable for the leasing fee from the time your contract is terminated until the time a new tenant leases your space. There are times when landlords allow the payment of termination fee, particularly when the location is on high demand. Settle what you owe to your employees, including any unused vacation leave and wages. Issue a final paycheck to your employees within a specific period. The US Department of Labor offers links to certain state agencies for you to determine whether your state requires you to pay the unused vacation time of your employees. Depending on how big or small your business is, you will be required to notify employees before closing down the business for good. Part of closing down your company is filing the payroll taxes. Submit your employees’ withheld taxes to the federal and state government within the allotted time. If you fail to comply with these tax requirements, you may be subject to pay a penalty fee and the government has the power to seize your assets to collect the amount owed. File all the required federal and state tax information. Consult the checklist that the IRS uses for closing a business to make sure that you meet all tax obligations. Talk to your accountant and determine which taxes to pay. Step 6: Collect the money owed to your business. Once you have chosen to close your business, collect the money owed to your company so that you can pay off creditors. Consider calling the debtors to politely request the remittance of their payment. Offer a discount as an incentive for the debtor to settle what they owe to your business immediately. Attempt to collect debts before announcing your business closure. A debtor may attempt to hold out on settling the debt if he or she has the idea that the business is closing. If you have accounts receivable, sell them to a company that purchases account receivables. Such companies will purchase your debt at a lower value and pursue the collection of the debts aggressively for their own profit. Although you will not obtain the full amount of your account receivables, you no longer need to collect any debt and will obtain access to funds quickly. If you have any outstanding orders, fulfill them. If you are under contract to offer certain products or services, fulfill them or negotiate. It is essential to discuss matters with your clients concerning their outstanding orders and resolve such matters. If you fail to reach an agreement or compromise, you can be held accountable for breach of contract. If you have assets or business inventory, sell them. It is important to perform a complete inventory of your assets and start selling them. Offer discounts when necessary to move the products at a greater pace. Consider selling your assets at auction. Holding an auction enables you to sell the inventory quickly without added shipping costs. You may also consider selling them to a consignment store. These types of businesses accept goods and sell them. After selling the good, they will give you part of the sale. Consider selling your smaller assets online. Large items will have higher shipping costs. Step 7: Settling the claims of creditors. Creditor claims can either be rejected or accepted by your business. Accepted claims should be settled through payment unless satisfactory arrangements are made with creditors for reimbursement. For instance, a creditor may consent to resolve the claim for 80% of the original amount. With rejected claims creditors should be informed in writing that your business rejects their claims. In this case, the assistance of an attorney is needed. After paying off the claims, whatever remains of your assets should be distributed to all business owners in proportion to the ownership share. For instance, if 80% of the business belong to you and your partner has the 20% share, you obtain 80% of whatever remains of the assets. Distributions should be reported to the IRS. If the business has various stock classes, corporate bylaws generally summarize the procedure for distribution of assets to these shareholders. A sole proprietorship is a business owned by only one person and without partners. This means that the owner is legally accountable for all decisions concerning the operation or termination of a business. To close a sole proprietorship, below are the step-by-step processes. Step 1: Inform all employees. If your business has employees, inform them of your plan to close the business. A company that has roughly 100 employees has the responsibility to give its employees a 60-day written notice before the closing. Step 2: Notify your clients and vendors. Send notifications to your clients and vendors of your plan to close your business. Arrange project completion, payment for invoices and fulfillment of any outstanding contracts. Notify them of the final date of business, the final date of services and provide them with copies of any agreements. Step 3: Cancel all licenses and sales tax identification number. When closing your company, you should also cancel your sales tax identification number and any business licenses. Do this through the business licensing department of the state where your business is located. File the final tax paperwork. The complexity of filing relies on the scope and size of your sole proprietorship. Report all income including losses and capital gains. Accounting is one of the most crucial functions of a business, but today’s entrepreneur needn’t worry. Numerous accounting software programs are available to help manage the financial transactions of your business, with programs ranging from basic accounting to total management of your company finances (also known as Enterprise Resource Planning or “ERP”). The use of accounting software enables companies to utilize the resources in their departments effectively, diminish costly accounting mistakes and improve operational efficiency. NolaPro is a customizable accounting solution developed by Noguska LLC. This software features order tracking, POS, inventory and more. NolaPro features a module in which companies can monitor sales, develop customer profiles and incorporate employee tracking time and other management applications. Its accounting ledger includes double-entry accounting, a balance sheet, account summarizations and the capacity to produce profit and loss reports. NolaPro offers an accounting solution for companies that need to manage employees, vendors and customers. In the payable module, companies can generate vendor bills, produce aging reports, monitor credit card purchases, as well as check the status of payments. This software is perfect for businesses in various industries including pharmaceuticals, architecture, hospitality and telecommunications. 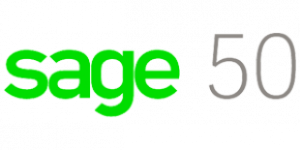 Sage 50 is an ideal accounting solution for small businesses with products such as invoicing and billing, software analytics, security reporting and inventory management. Sage 50 incorporates built-in data checks that detect accounting mistakes as well as suspicious transactions. Its security and audit functions enable users to monitor who is editing and entering data or accessing certain functions. The software includes analytics and forecasting that can be exported into Microsoft Excel. The inventory management platform of Sage 50 helps users monitor inventory based on qualifiers including size, style and color. The system tracks inventory and creates a purchase order particularly when levels are running low. Sage 50 gives industry solutions for various business sectors including accounting, manufacturing, distribution, and construction. Sage Business Cloud provides modules that enable you to create invoices, manage quotes, handle and submit VAT and cash flow forecasting. For the $40 Sage Business Cloud plan, you receive user-friendly modules to manage invoices, quotes, submit VAT online, cash flow forecasting, smart bank feeds, multiple currency support, reconciliation and project tracking. Comprehensive video tutorials and free unlimited 24/7 telephone and email support is included with your plan. 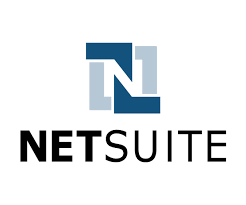 Netsuite Financials is the number one cloud provider of Enterprise Resource Planning. It is also recognized as the most suitable financial management system for growing companies in need of group consolidation, tax compliance, and multiple language support. NetSuite’s basic accounting software is specifically designed for mid-sized to large-sized companies with more than 50 employees. 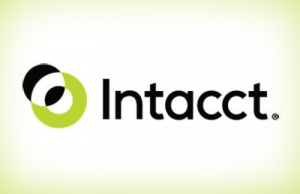 Sage Intacct is another highly-recognized provider of cloud-based accounting. Its software applications are perfect for small and mid-sized businesses and can offer real-time operational and financial insights with the capacity to automate critical procedures. Sage Intacct provides users with a wide range of accounting applications including accounts receivable, accounts payable, general ledger, order management, and cash management. It includes time and expense management, built-in reporting and dashboards, revenue management, multiple entity consolidation and project accounting. This accounting software has the capacity to integrate with other business applications such as POS systems, CRM and payroll systems to give users the option over which applications they wish to leverage in their organization. Cougar Mountain software is an accounting solution that has the capacity to customize ten integrated modules. This software is ideal for small and mid-sized businesses and can be installed in the cloud or on premises. The major features of Cougar Mountain include internal controls, individual user rights, rental equipment tracking, customizable reports, audit trails and FASB and GAAP compliance. Denali Business provides accounting functionalities such as data analysis auditing, reporting and multiple location inventory management. For non-profits, Denali Funds offers a grant, donation and overhead accounting solution. 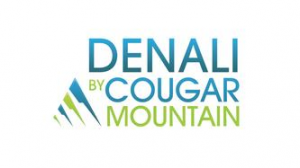 Cougar Mountain Denali Business solution provides business assistance particularly in controlling and monitoring the flow of business resources. Moreover, it allows businesses to manage multiple invoices, collection status and client information. Other features include bank reconciliation, purchase orders and a payroll system. 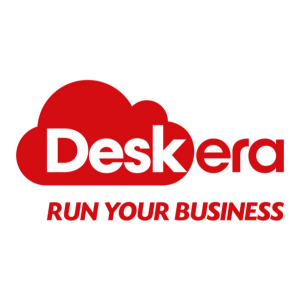 Deskera ERP is a comprehensive business management suite that automates distribution, billing, sales, purchasing, payment processing, product receipt, sales commission calculations, asset management, warehouse management, bank reconciliation, core accounting, sales tax compliance, financial reporting and multiple currency support including the ability to print checks. Deskera ERP also offers built-in integration with other third-party solutions such as UPS, Orderful and AvaTax. It is customizable for user preferences, rules, alerts and automated workflows. Deskera ERP can be accessed from any browser independent of the operating system. It comes with an Android and IOS compatible mobile app. This software is perfect for small and mid-sized businesses. Adaptive Insights offers a web-based system for reporting, forecasting and budgeting. This software is useful for companies of all sizes. Adaptive Insights eliminates the need to buy new software or hardware. The interface is customized similar to Excel using familiarity to accelerate the training process. Adaptive Insights assists the needs of various business types ranging from small and billion-dollar companies to non-profit organizations. The main features of the software are forecasting and budgeting, dashboards, reporting, financial modeling and administration. Adaptive Insights serves the needs of healthcare, business services, non-profit organizations, software companies and manufacturing businesses. It has an extensive partner network in various nations. When you purchase this product, you gain access to training and support services as well as strong implementation. Budget Maestro offers a comprehensive accounting solution capable of forecasting, budgeting, reporting and consolidating. Budget Maestro is perfect for industries such as healthcare, manufacturing, retail, non-profit organizations, business services and wholesale distribution. This software also offers a centralized database that updates any changes to a company’s data. Budget Maestro has a calculation engine that ensures all computations are grounded on sound accounting principles. Budget Maestro has a “financial intelligence” that automatically builds the balance sheet off the profit and loss activities and automatically builds cash flow statement from the balance sheet. Acumatica ERP is a mobile-based and cloud-based enterprise resource planning solution, which allows a real-time view of the operations of your business. Together with its global network partners, Acumatica ERP offers a complete suite of integrated applications relevant to business management such as professional, financial accounting and distribution services. The distribution management feature of Acumatica enables users to handle orders and quotes, automate purchasing, track inventory and enhance customer service. The program is completely integrated with manufacturing, CRM and financials as well as project accounting for transparency across the organization. The project accounting feature of Acumatica offers solutions for timesheets, complex billing and budgeting as well as project inventory. It aids built-in accounting tools including accounts receivable, accounts payable, general ledger, purchase orders, sales orders, time and expense mobile applications and inventory management. 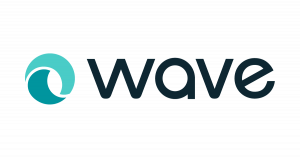 Wave is a cloud accounting software customized exclusively for small businesses. Compared to other free accounting software programs that restrict functions, Wave Financial provides a comprehensive accounting feature without monthly costs. Wave Financial is free and is best used for service-based businesses. It is an ideal fit for freelancers, consultants, self-employed entrepreneurs and small businesses that have 10 or less employees. Wave Financial allows you to make an account in just a few clicks by entering your email address and password. After completing the signup process, you can start customizing your account by completing your business type and company name. Once you login, you will find a sidebar menu categorized into banking, accounting, sales, reports and purchases. Wave has a user-friendly interface that helps you run financial reports as well as perform basic accounting with great ease. FreshBooks is a convenient and easy-to-use accounting software. With just a few clicks, you can easily add billable time and expenses, establish recurring invoices, customize the appearance of the invoice and set up automatic payment reminders. FreshBooks connects to your bank, tracks time, produces reports and assists you in managing projects. 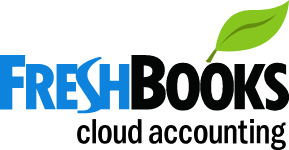 Like most other accounting software, FreshBooks provides various pricing plans, based on the number of clients you have. One distinguishing feature of FreshBooks is that it aids financial education for college students by giving free accounts. It also offers classroom materials to college students and educators. Kashoo is an accounting software that is ideal for small business owners, freelancers and independent entrepreneurs to handle audits, taxes and other accounting functions. This software is accessible on mobile devices via an iOS app. Kashoo enables users to operate in offline mode and synchronize data as soon as there is an established internet connection. It aids accountants in creating and sending invoices through the use of customizable templates. Users can track expenses by attaching images of receipts and can also file expenditures under the appropriate account to make it accessible during tax filings. Kashoo allows users to automate bank reconciliation by synchronizing data with banks all over the world. It enables business owners to create financial reports, accounts receivable, profit and loss statements balance sheets and more. The solution also provides a dashboard that enables users to forecast data based on current figures. Zoho Books is an accounting software that provides the basic features every micro business needs. It also offers advanced tools as well as integration so that the company can continue using the software even as it grows. 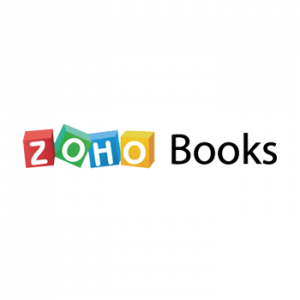 Zoho Books has low pricing in comparison to competing accounting software. Their basic plan only costs $9 per month while the professional plan is $29 per month and supports 10 users. Zoho Books is an easy-to-use application with simple and fast account set-up. You simply need to enter your business name, password, contact and payment information. Zoho Books enables you to save time through workflow automation. Use the software to perform automatic tasks such as securing payment reminders and invoices, tracking expenditures and sending notifications when your bills are due for payment. You can also convert sales orders and perform invoice estimation with just a few clicks. Zoho Books enables you to track the time and has a project management tool feature, which allows you to bill based on task hours, staff hours and project hours at a fixed cost. Intuit Quickbooks is an accounting software application perfect for small to medium-sized businesses. Quickbooks provides functionality to handle multiple locations, users, large quantities of transaction data or inventory workflows. Intuit Quickbooks offers customized reporting tools that aid users in data analysis and making informed business decisions. This software application integrates with Excel to expand its reporting capacity. Quickbooks provides tools for scanning and attaching documents such as quotes and receipts. This solution allows businesses to arrange documents into categories and monitor significant accounting files. It maintains a change log to document changes within each report with a proper timestamp and date. The program also allows organizations to monitor employee information and secure regulatory compliance. KashFlow is one of the easiest accounting software applications to use. It helps in importing data from Excel, Sage and Quickbooks. KashFlow’s interface is direct and it has various templates and invoices that you can use right away. This application has lots of functionalities that encompass all the major needs you would expect. You can handle supplier and customer details, automate purchases and records, automatically import bank transactions and have the system notify you of late payments. 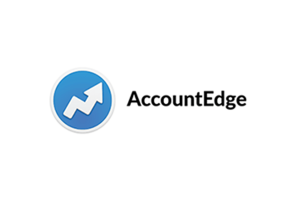 AccountEdge is an accounting and management solution that works with both Windows and Mac operating systems. This software application is ideal for small businesses and aids users in creating and tracking sales as well as purchases, running payroll, monitoring and creating inventory and managing time. The major features of AccountEdge are banking, payroll, invoicing, purchase orders, inventory, time billing and e-commerce. Users can manage orders, quotes and invoices for time, services and items sold. Payments are processed on invoices and orders. AccountEdge’s banking tools allow users to send and receive money, prepare deposits and electronic payments, print checks and reconcile accounts. Its purchase orders feature allows users create and track purchase orders and bills. AccountEdge also enables users to create an e-commerce platform, allowing them to sell items online. When you see an apple with a single bite, the first thing that comes to mind is Apple Inc. A swoosh design is associated with Nike, a three-stripe design is associated with Adidas, and the golden arches with McDonald’s. Even if the name of the company is not displayed on the logo, almost everyone can easily recognize the brand. A logo is an essential aspect of a business that performs a key role in branding. Business experts consider logos one of the best tools companies can use to attract customers. When customers see your eye-catching logo for the first time, it automatically gives them a unique view of your brand identity. Kickstart your business plan by having a good logo design. Here, we gathered some of the best free logo design services online and some inexpensive ones too. 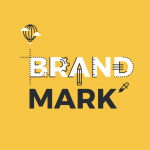 Brandmark.io, which helps you establish a branding system with the assistance of a design team, is one of the best sites for a one-of-a-kind logo for your new business. Brandmark.io’s designs are engaging and remarkably distinct. You simply input your preferences, and the AI design system will generate several logo ideas for you to choose from. When you create logos using Brandmark.io, you can do anything you want from resizing to recoloring and customizing without needing another designer or software. You can export the completed design in various formats such as EPS, SVG, PDF, and PNG using either web, mobile, or PC platforms. A basic logo costs only $25; however, it is not editable. Designer and enterprise logos cost $65 and $175, respectively. LogoMakr believes that a beautiful logo should come at a nice price to help you start your new business. With an easy-to-use design software, you can create a high-resolution logo for only $39.95. If your logo does not require high-resolution files, it’s completely free. With a free web logo, you can create and save the design and then copy and paste the HTML code that accesses the design from LogoMaker’s server. You can use the logo on your webpage for free. With high-resolution logo design files, you will get your logo in EPS, JPG, PNG, and GIF format. LogoMakr offers a money-back guarantee. It offers more than 10,000 professionally designed icons and more than 50 fonts to choose from. With LogoMakr, you can make up to six designs for comparison before purchasing the logo of your choice. If you’re looking for a brilliant and individualized logo using simple design tools, Canva is another great option to consider. It has a wide selection of logo templates that you can use to generate your logo design ideas in minutes. To enjoy Canva’s services, simply create a free account, explore professionally designed templates and customize the design using your own choice of colors, graphics, and fonts. Finally, save your logo and share it with the world. Canva templates and design tools are all free to use. 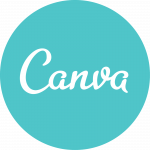 Canva also has premium images that you can purchase for only $1 per one-time use. When you have a Canva logo, you can post it on your social media channels by clicking the SHARE button. See amazing things happen after that such as gaining followers, widening your fan base and obtaining new clients. Free Logo Design offers a completely free logo to the benefit of entrepreneurs, freelancers and small businesses. With just a few clicks, you can have a stunning logo design right at your fingertips. You can also choose from thousands of talents and edit the logo until you become fully satisfied. To use this service, start by choosing a name for your business. Browse and select the template you want to use for your logo. Customization can help the logo look even more striking. Simply change the font, color and shape; then save the logo. You do not need to pay anything when downloading the logo you created. Free Logo Design is 100% free, easy to use, and helps enhance your branding. Design a free logo to save on the upfront costs of starting your business. Free Logo Services has thousands of logo designs that can easily be edited. All you have to do is choose the template and customize the layout, text, fonts and colors. By using this site, you will receive ten logos in different file formats. If you need a logo for your social media accounts, just request the file format. Free Logo Services helps you grow an online presence. Step up your game by being creative and innovative. After designing your logo and deciding to use it, you only need to pay $39.95 for the files. GraphicSprings offers a simple solution for startups and entrepreneurs to improve their branding – the creation of a free logo. GraphicSprings has a gallery of logo templates where you can choose the one you like best and customize it. The gallery has categories that range from education to business to photography, and a lot more. GraphicSprings has a user-friendly logo maker platform that lets you edit the text and graphic of your template easily and conveniently. Be playful and creative when creating your logo. As soon as you have completed the editing and customization processes, you may download the logo and pay only $19.99. Is your company in search of a new professionally designed logo? Designimo offers cost-effective solutions to individuals and companies. This site offers graphic design and custom logo design to numerous industries. Designing a logo in Designimo is entirely free. However, if you decide to download high-resolution files, you only need to pay $29.95. The files come in JPG, PNG, and EPS format. Designimo does not allow refunds. If you are an entrepreneur with a passion for branding, let Logojoy assist you. 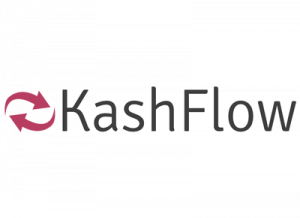 Logojoy is a logo design company based in Toronto, Canada. It is one of the most-trusted sites for logo design and has been featured in The Globe & Mail, Creative Review, Lifehacker and TechCrunch. To use this site, you need to enter the name of your business or company. Choose the style, icons and colors you want to use in your logo. After just a few clicks, you will be presented with logos specifically tailored to your preferences. Customize your personal logo by changing the font size, spacing and more. Logojoy’s pricing varies. Downloading a low-resolution logo file only costs $20 but if you wish to download a high-resolution logo file, the cost is $65. Versatility is Designmantic’s name of the game. Once you start your logo design, you will receive other services ranging from business cards to building websites. You have the option of creating the logo design yourself or getting assistance from the site’s community of graphic designers. Designmantic is easy to use. The initial step is to type in the name of your company. Then, select the industry, choose your design, and pay only $37 if you want to download the logo’s image file. Upon purchasing, you will receive your logo in three different formats: PDF, JPEG, and PNG. Wix is one of the newest website creators today. Did you know that with Wix you can also create your professional logo? The procedure is as easy as 1-2-3. Respond to the questions, and you will be directed to the design that matches your preferences. If customization is your cup of tea, Wix allows you to customize the logo size, text, color, and font. Creating the logo is free. If you love the design and want to download it, you will need to pay just $12.99 for a basic logo, which consists of high-resolution logo files and full commercial usage rights. A professional logo costs $49.99, and the package includes vector files, social media kit, high-resolution logo files, print-ready files, brand guide, and full commercial usage rights. Logogenie offers a free logo design system to make cost-effective logos without compromising quality. With Logogenie, you can experiment with colors, fonts and icons. If you need assistance, the site has a customer support team to answer your queries. The logo design process in Logogenie is easy to navigate. The first step is to enter your slogan and your company name. Then choose the icon of your choice from the site’s icon library. Feel free to customize any aspect of your logo design and save it by clicking the OK button. Your downloaded logo costs $19.90 and comes in various formats including PNG, JPG and PDF. LogoGarden was founded by a group of professional graphic designers with years of experience in developing global brands. The site offers a broad range of digital file formats as well as custom logo designs. LogoGarden does not mention the cost of its service; however, the site claims to offer an affordable price for logo design. 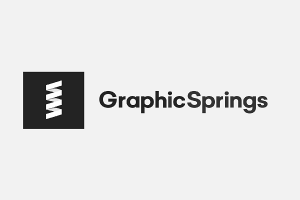 We recommend crowdSPRING because they help business owners who need quality, affordable design services with a talented community of over 200,000 professional designers. We’ve secured $25 off and free advanced promotion ($99 value) for our clients. Discount is applied at checkout by using this link. 99designs is a unique way to get the perfect logo: designers compete to make the perfect design for you and you pick the winner! A design you’ll love or your money back! Do I have to incorporate a business at all? 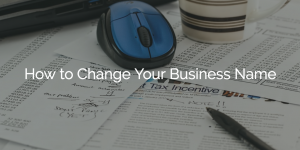 In some cases, your local, state, and federal government doesn’t care if you incorporate your business or not so long as you are operating under your own name and reporting any business income and paying taxes on that income. There are a lot of people that do this—local handymen, t-shirt printers, artisans, and so on, although they’re not always operating legally. Some jurisdictions will require you to obtain a business license even if you’re doing business under your own name. You can usually just go to your city hall and fill out some forms, or you can take care of everything online here. If you’re just doing business using your own name or you simply have a business license, your business entity is called a “sole proprietorship” or a “DBA” which stands for doing business as. Some jurisdictions also call this an FBN or fictitious business name if you’re using a name that is not your own but have not filed a formal business entity. 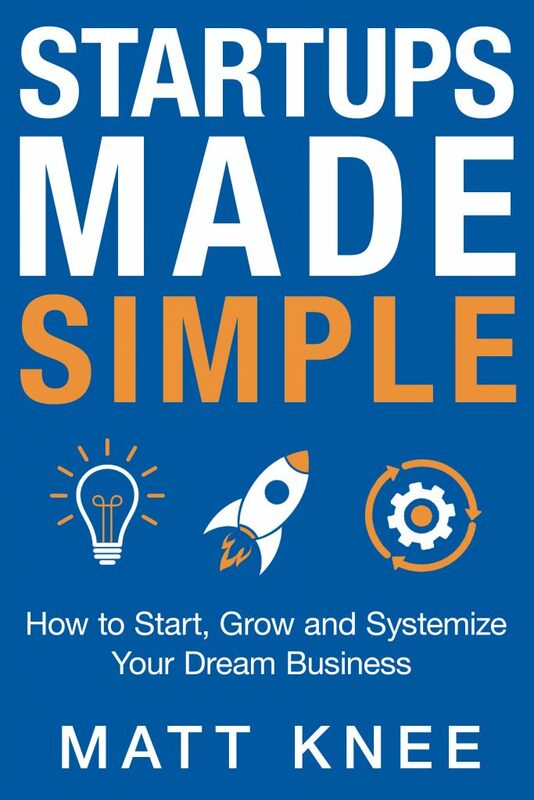 This is obviously a fast, cheap, and easy way to get started with your business, but it could cost you everything. You could be personally sued and lose your personal assets in the course of doing business. If you’re doing something relatively simple and safe, like designing t-shirts or selling cups online, your likelihood of being sued is probably low. However, if you are sued you could lose everything. If you incorporate a business, that business becomes a separate entity that protects you from personal liability. Let’s say you have a business mowing lawns, and during the course of a day you accidentally injure someone or damage their property. If you have a separate business entity, like an LLC or S-Corp, then the plaintiff will have to sue that business and only business assets can be affected, which are often minimal for small businesses. If you don’t have a legal business entity, then you could have to sacrifice your house, your car, and anything that you own to cover the damages. When you incorporate a business, you also own that business name and show that you’ve taken steps to become a legitimate legal entity. This is why most people today choose to incorporate as either and LLC, S-Corp, or combination of the two. Since business filing starts at $79 and can protect you from losing everything you own, it’s kind of a no-brainer. Let’s look into the two most common types of small business entity. What are the benefits and drawbacks of an LLC? LLC stands for Limited Liability Company because it limits your personal liability without all the complications of setting up a corporation. The LLC was invented over 40 years ago in Wyoming, based on a European business entity, and today LLCs make up over two-thirds of all new companies formed. LLCs are much simpler than corporations. If you form a corporation, you have to have shareholders that elect directors—so now you have a board of directors. Those directors appoint officers—so now you have a president, vice president, etc. who then run the company. It’s a complicated three-level structure, and for most small corporations, you are all three of those—the shareholder, director, and officer. But in that set up you have to wear multiple hats, so nobody really wants to do all that unless you need to start a big company right away. That’s why so many people choose the LLC—fully 70% of businesses formed on MyCompanyWorks.com are LLCs. They allow you to set up an official business entity that protects your personal assets, while being nearly as easy and simple as a sole proprietorship. Instead of the directors, officers, and shareholders of a corporation, you only need one person called a member. Most LLCs are single-member LLCs, but you can have multiple member LLCs as well and share ownership. There are no citizenship requirements for LLC owners and LLCs can own and be owned by other LLCs, which, as you’ll see in the next section, is an advantage they have over an S-Corporation. LLCs are very flexible and you can write operating agreements and rules that allow you to be incredibly detailed on how your business is run or make it very very simple. Many of our customers like to choose the most simple entity that protects their assets and is not hard to run, and the LLC is the best choice every single time. Also, LLC tax filing is simpler than a corporation’s. Drawbacks to LLCs are very minimal. The only downside is if you ever want to become a venture-capital-backed company, you will almost always have to file a C-Corporation. However, most states will now allow you to convert an LLC to a corporation, so there’s really nothing to worry about. If you want to start your business and protect yourself as simply as possible then get started with an LLC, and when you’re ready to grow, convert it to a corporation. Most people don’t know that Facebook started as a Florida LLC, and converted to a corporation later when they needed to. What are the benefits and drawbacks of an S-Corp? 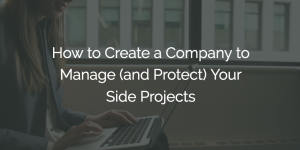 As we already discussed, a huge benefit of having an official business entity like an S-Corp is that it protects your personal assets in case you get sued during the course of business. An S-Corp. provides that protection, plus some added tax benefits as a “pass-through” entity. The S in S-Corp simply means small. An S-Corp is limited to 100 shareholders and is not taxed at the corporate level. Whereas a regular corporation’s income is taxed twice—once at the corporate level and again at the personal income level—an S-Corp is just a pass-through entity that lets you pass corporate earnings on to yourself and your other shareholders, if you have any. The drawbacks to S-Corps are that they are limited in size, you have to be either a US citizen or green card holder, and you can’t own other businesses or be owned by another business as an S-Corp, whereas an LLC will allow you to own and be owned by other businesses. S-Corp taxes are also more complicated to file than an LLC, and you’ll need at least a bookkeeper and probably an accountant to help you at tax time. Also, S-Corporations cannot deduct certain items that regular “C-Corporations” can like healthcare and travel. Ask your tax advisor for specifics. Should I get a C-Corp instead? The only reason to file a corporation is if you want to have more than 100 shareholders or attract venture capital. 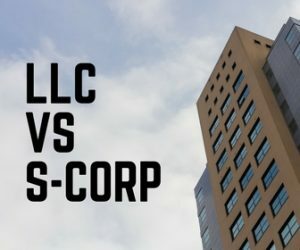 Basically, if you want a huge company, then it will need to be a C-Corp. But, if you’re starting out, it might be considerably cheaper and easier to start as an LLC until the time that you know you can attract those shareholders and funding. C-Corp structures, taxes, and filings are the most complicated of all, plus you get double taxed. Current taxation for corporations is 21%, and that’s before anyone gets paid and pays personal income tax. So, if your company makes $100,000 in its first year, the most you can make is about $79,000 before your personal income tax and any state taxes and fees. If you had chosen an S-Corp, you could have been paid almost all of that before having to pay any tax on it. If you’re just getting started, an LLC is probably the route for you. The setup, management, and taxes are easy. If you’re looking to save some extra money on taxes, you can consider actually adding an S-Corp election to your LLC, which will let your LLC file taxes as an S-Corp. But remember that if you do this, you’ll have to deal with more complicated corporate tax filings, and probably have to hire some help. 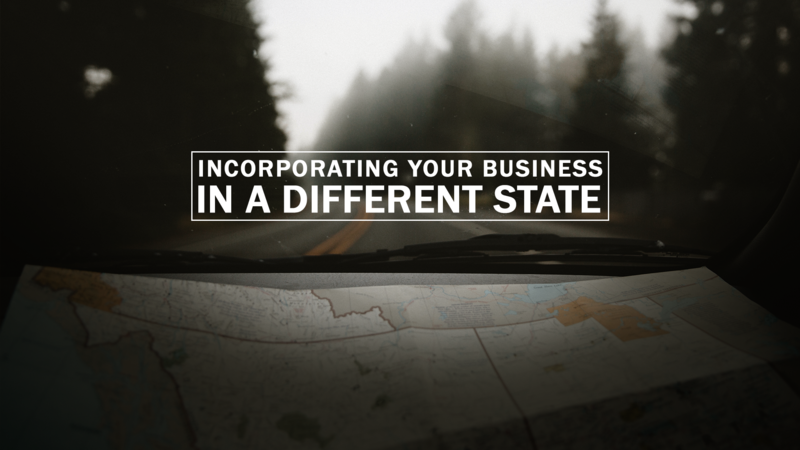 Once you’ve decided on a business entity, you need to choose which state you want to file it in. 9 out of 10 times that will be your home state, but there are advantages to filing in other states, especially Delaware, Nevada, and Wyoming. Once you file, you’ll need to apply for your FEIN, which is basically your business’s social security number, and then open a business bank account. Check out our business startup checklist to see everything you need in one place. The corporate tax rate was just lowered to 21%. A husband and wife can count as a single shareholder for an S-Corp. If you go to get venture capital or funding, they’re almost certainly going to require you to get a Delaware C-Corporation. Delaware has very favorable laws for business. Large corporations typically own and create other corporations to separate liability. For example, Amazon may file a separate corporation for a single distribution center and own that under another corporate entity. Did you learn something from this article? Share it with friends who are interested in starting a business of their own, and subscribe to our newsletter below for regular business startup and management updates and education. I recently spoke to Allan Dib (the bestselling author of The 1-Page Marketing Plan), and he mentioned that changing your company name is like “performing heart surgery on a company”. After just going through a company name change, I tend to agree. Step 1: Do You Really Need to Change the Business Name?